Facing increased regulation and disruption from new technology, banks and financial institutions who want to maintain their competitive edge need to leverage on mobility data. Perhaps the biggest challenge facing the financial services industry today is the constantly changing expectations of consumers. With customer service standards set by tech giants like Apple and Amazon, financial institutions such as retail banks find themselves struggling to provide their customers with the same fast, simple and convenient user experiences. If retail banks are not able to meet these expectations, they will be left behind in this fast-paced industry. In order to maintain their competitive edge, retail banks are looking into mobility data to help them redefine the retail banking experience. Mobility data refers to the trajectories of people and objects. In the banking and finance sector, the movement patterns of people in a city are of particular interest. This is commonly referred to as footfall, which involves measuring the number of people in and around an area within a period of time. With mobility data, retail banks can explore new ways to engage clients, enhance customer touch points and improve operational efficiencies. Here are three examples of how retail banks can use mobility data to enhance customer service and increase competitiveness. 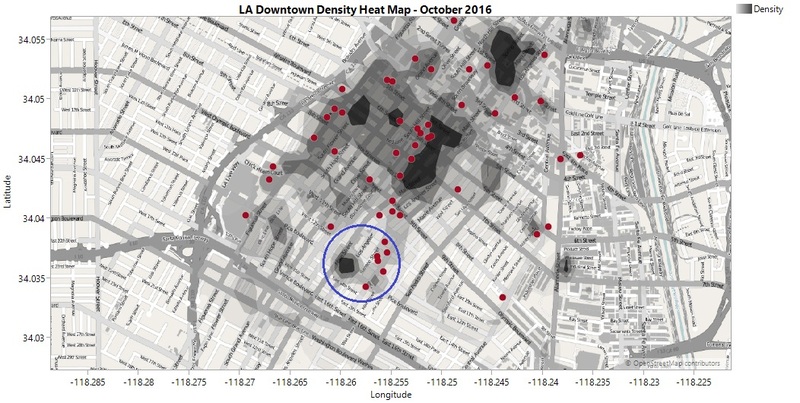 In each example, anonymized mobility data around Downtown Los Angeles between 1 October 2016 and 31 October 2016 was used. 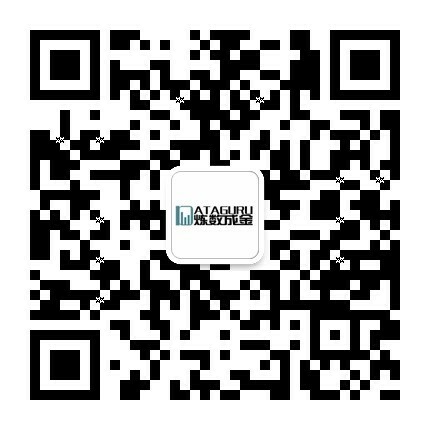 The data is available from DataStreamX. In an industry where retail banks constantly compete to provide the best user experience for their customers, the strategic placement of automated teller machines (ATMs) is critical for success. Too many ATMs at one location can drive up operational costs, while too few limit the ability to provide adequate service to customers in the area. 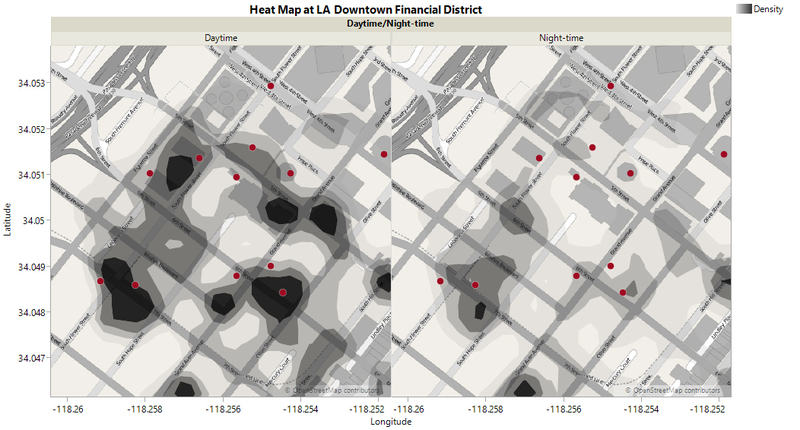 In this example, we examine how Union Bank can use mobility data to optimize the locations of their ATMs around Downtown Los Angeles. The density heat map below shows the distribution of footfall traffic around the area. Areas with a high density of footfall traffic are denoted by dark grey areas on the map, while the location of ATMs in the area are denoted by red dots. The figure below shows the footfall traffic and distribution of ATMs within the area of interest (blue circle). We see that footfall traffic around this area (CA 90015) is significant – comprising 13 percent of the total footfall around Downtown Los Angeles. However, there are only 6 ATMs in the area and none of which belong to Union Bank. As a result, customers of Union Bank in this area who are looking for ATMs to conduct transactions would be inconvenienced due to the lack of Union Bank’s presence in the area. Based on this information, this would be a prime location for Union Bank to install more ATMs to increase accessibility and provide greater convenience to their customers in this area. With mobility data, Union Bank could look at other locations with high-density footfall traffic to optimize the placement of ATMs and increase their presence in these areas. Targeted advertising involves placing ads based on factors such as demographics, buying history and consumer behavior. This form of advertising allows advertisers to connect with audiences who are able to relate to the benefits that the product offers, increasing conversion rates in the process. For targeted advertising to be effective, a strong understanding of demographics and consumer behavior is necessary. In this example, we examine how Bank of America can use mobility data to execute a highly targeted advertising campaign. As part of their customer loyalty program, Bank of America plans to give rewards to business travelers who make frequent trips across the country by air. But how would Bank of America advertise to engage business travelers? Placing the same advertisement at every airport would not only serve to turn the advertising message into something common, dull and uninviting, but also drive up advertising costs. A simple way to increase engagement is to customize the advertising message to resonate with a target demographic. 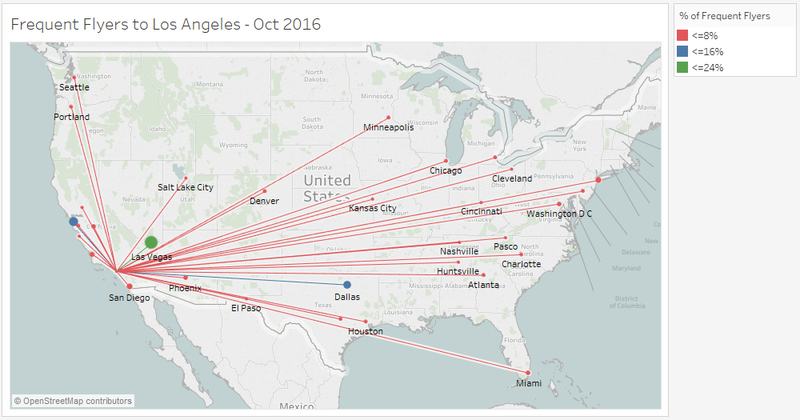 The figure below shows the distribution of frequent flyers, defined as travelers who visit Los Angeles at least 2 times or more a month, landing at Los Angeles International Airport. We see that the majority of frequent flyers arriving at Los Angeles International Airport fly in from Las Vegas (24 percent, green), San Francisco (11.6 percent, blue) and Dallas (8.5 percent, blue). Frequent flyers from the rest of the states contribute to 8 percent or less of the sample population (red). Based on this information, a targeted advertising campaign could be carried out at Los Angeles International Airport to encourage frequent flyers from Las Vegas, San Francisco and Dallas to sign up for Bank of America’s customer loyalty program. This improves the relevance of the advertising message, increases the level of engagement with the target audience and reduces the cost of advertising at every airport. By leveraging on mobility data to identify potential target audiences beforehand, retail banks can increase conversion rates and return on investment of their future advertising campaigns. Push notifications are a great way to keep customers informed with timely and relevant content. Notifications can display a message on a user’s mobile phone to encourage the user to perform an action such as downloading a coupon or using a promotion code. Banks who want to increase their mobile banking engagement can benefit from using push notifications as these would not get caught in spam filters or forgotten in an inbox. In order to carry out an effective push notification campaign, a good understanding of mobility data around the area of interest is necessary. In this example, we see how Citibank can use mobility data to improve customer engagement in a targeted area. 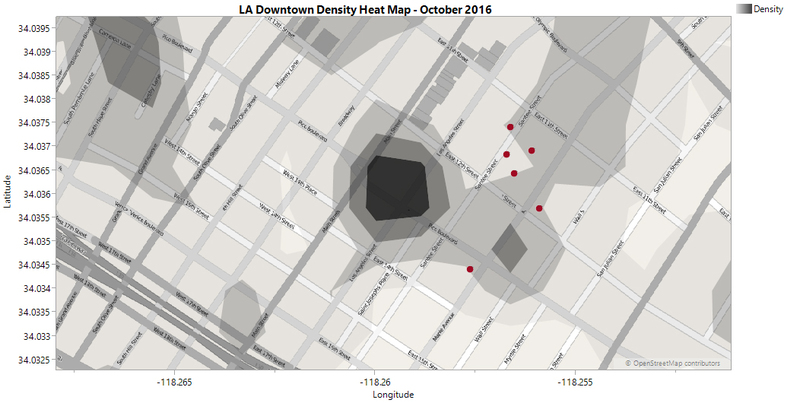 The density heat map below shows the distribution of footfall traffic around Downtown Los Angeles. Areas with a high density of footfall traffic are denoted by the dark grey areas on the map, while the location of restaurants in the area are denoted by red dots. Based on this information, Citibank could partner with these restaurants to provide exclusive dining offers to users of Citibank’s mobile app who are in the area. Push notifications could be sent to these customers via Citibank’s mobile app when they are in the vicinity, informing them of coupons or special offers at these restaurants that they can take advantage of. By capturing interest at the right place and at the right time, well-implemented push notifications can revitalize Citibank’s mobile app with an engaging customer experience and increase customer satisfaction. 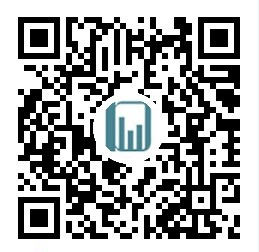 How do I get mobility data? Obtaining mobility data for use in decision-making may be a difficult task for the uninitiated. Variables such as the time of day, seasonality and local trends make mobility data nearly impossible to measure accurately by manual counting or sampling. These factors also affect the reliability of conclusions based on footfall data alone. As a result, mobility data is often used in conjunction with other types of data such as demographic data, allowing users to formulate and test their hypotheses. We’ve seen how mobility data helps banks make better business decisions on issues such as optimizing resources and improving customer experiences. In addition, banks can leverage on mobility data to communicate with customers at the precise moment with the most relevant information. Accurate and reliable mobility and demographic data can be obtained from mobile app companies who provide anonymous location and demographic information of their users at a small fee. If it is your first time purchasing data, consider using online marketplaces such as DataStreamX to help you get in touch with suppliers of mobility data easily. Have you used mobility data to drive business decisions at your organization? Let me know your experience in the comments below. GMT+8, 2019-4-21 13:14 , Processed in 0.042936 second(s), 11 queries .